I wonder at what point it was where I stopped noticing what other adults were wearing because I was too busy looking at their children's clothes. All of us moms show up in some variation of jeans and a t-shirt, but the kids? That's where the real personality shows through. I appreciate children's clothing from chain stores just as much as the next person, but it does make it hard to show individual style when I see three other kids with the same shirt within the week, right? But when it comes to finding something unique, I don't want to spend my time shopping in a stuffy baby store or paying high shipping costs online. Instead, I want to find basic, fashionable, fun outfits and accessories from the site that combines it all: My Baby Clothes Boutique. 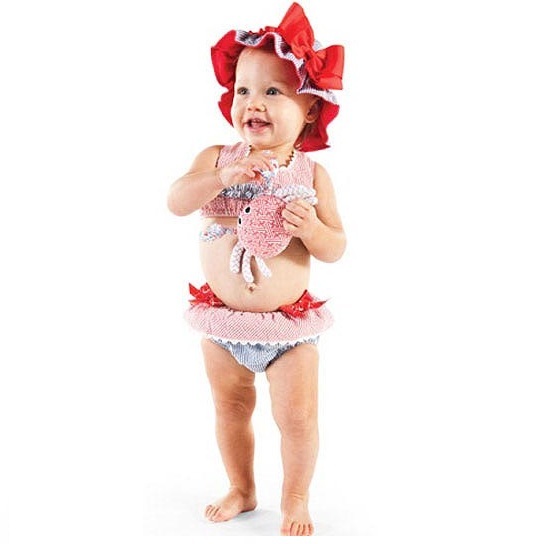 Based on the idea that "Clothes say a lot about a person" and that this includes babies, My Baby Clothes Boutique is the place to find fashion-forward, trendy and adorable clothes and accessories for your little one. What baby's outfit wouldn't be complete with a cute flower headbands or the sweetest pair of baby shoes or one of many trendy baby hats that are just right for keeping the sun away this summer? My Baby Clothes Boutique even makes it easy for you to shop by splitting up their great selection into categories such as Birthday Baby Clothes, Baby Swimwear, Organic Baby Clothes and so many more. If you're just looking for girls, boys, newborns, toddlers or a sale, this site is clearly laid out and easy to browse, click and shop. 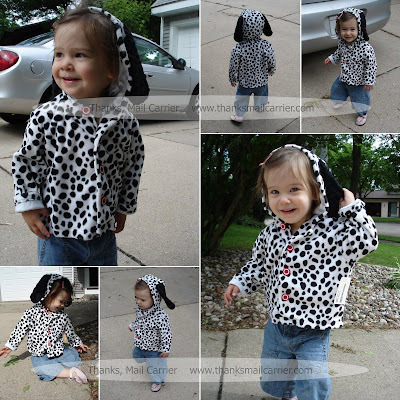 The Lots of Spots Hooded Jacket by Haute Baby was every bit as adorable as it was in the picture... and then some. The incredible softness of the fabric is buttery smooth and the addition of the red buttons was the perfect touch. This is a light jacket, just right for a cool spring day and will be the first thing we reach for this fall as the weather begins to turn. If Little Sister B is half as big of a fan in a few months, the Lots of Spots Hooded Jacket will definitely be a staple in her daily wardrobe. With sizes from 0 - 24 months, My Baby Clothes Boutique provides a style for every baby and any occasion. 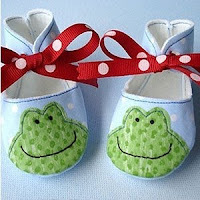 The next time you need an item for your own child or as a gift, forget driving all over town or searching site after site, My Baby Clothes Boutique provides the variety and quality you need to express the personal style of your unique baby. There's even a 30-day return policy to guarantee you'll be happy with your new fashionable purchase! One lucky person will win a $25 gift certificate to My Baby Clothes Boutique! To enter to win: Visit My Baby Clothes Boutique and tell which of their adorable items is your favorite. 3 Extra Entries if you blog about this giveaway linking back to Thanks, Mail Carrier and My Baby Clothes Boutique. Please leave an address where it can be found. As a bonus, if you email the URL of your post to Shannon, you'll receive a special coupon! 5 Extra Entries if you make a purchase from My Baby Clothes Boutique anytime during this giveaway. Tell me what adorable item(s) you bought! A big thank you to My Baby Clothes Boutique for providing a Lots of Spots Jacket for me to review as well as a $25 gift certificate for one lucky giveaway winner. The opinions shared are my own and honest and if you really need to see more, click here to see how I roll. I love the EIEIO Little Cow Shortall Set by Mud Pie! I entered the kids craft shuttle giveaway! I entered the juliethefish designs giveaway! I entered the patriotic pillow pet giveaway! I love the Baby Camo Layette set! I love the Perfectly Princess Tutu Dress. I like the Butter Dots Bishop Dress. I really like the "Welcome Home Baby!" 3-Piece Layette Set in Keepsake Gift Box in Blue. I follow your blog via Friend Connect. on their wall on facebook. I think the Pink Jungle Short Sleeve Dress is cute - and it's on clearance! There are WAY too many cute things to pick just one favorite, but for this purpose I will list one that I LOVE and that would be the Personalized Hot Pink Little Sprout Tab Dress! I left the message on their facebook wall! I entered the Julie the Fish Designs Credit giveaway! I am a public follower 2! I "like" you on facebook 2! Oh, so many things to love! 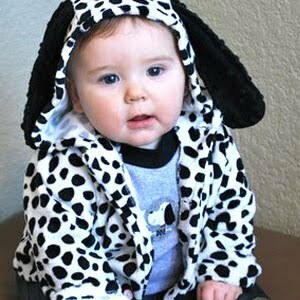 Top 3: Little 45 By Baby Bol, Personalized Prince Onesie Pant Set, and Lots of Spots Hooded Jacket by Haute Baby. Subscribe to Baby Clothes Boutique newsletter. My Baby Clothes Boutique Facebook Fan. Wrote on My Baby Clothes Boutique Facebook Wall. I like the Baby Girl Personalized Dress-Princess Lily! my favorite (our "ours" as my husband LOVED looking at all the little girls clothes...) is the Daddy's Girl tutu!! SO cute!!! The doctor bag gift set is my fav! I wish I knew a doctor because that would make the best gift!